The theme for this week’s You Capture was “Spring”, which was quite easy because it was all around me! For the first time in a while I actually kept this assignment top of mind as Iabout my days. I hope you like the results! 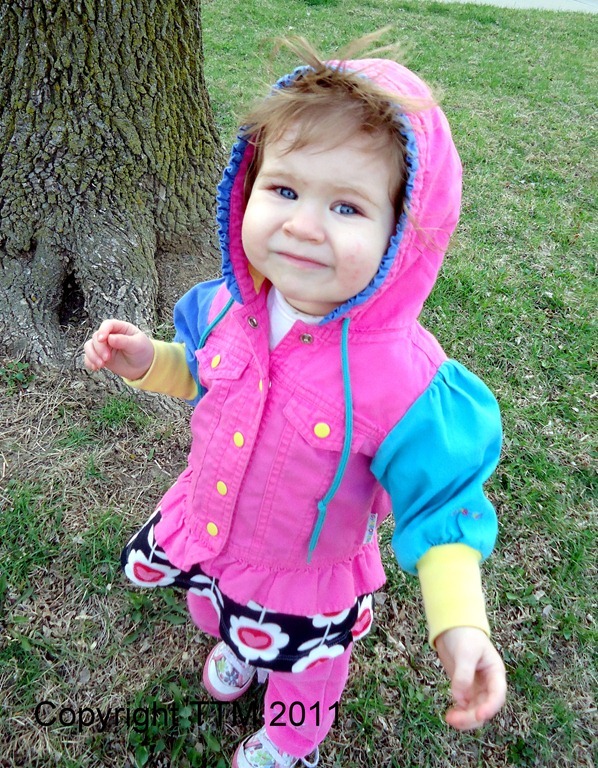 Last Friday evening it was warm enough to take Isabella to the park for some play time. But, being Spring, the temperature quickly dropped as the minutes ticked by. Good thing she had a hooded jacket! She had lots of fun running around and picking up pine cones. I’m so glad we’re able to get outside more and play! 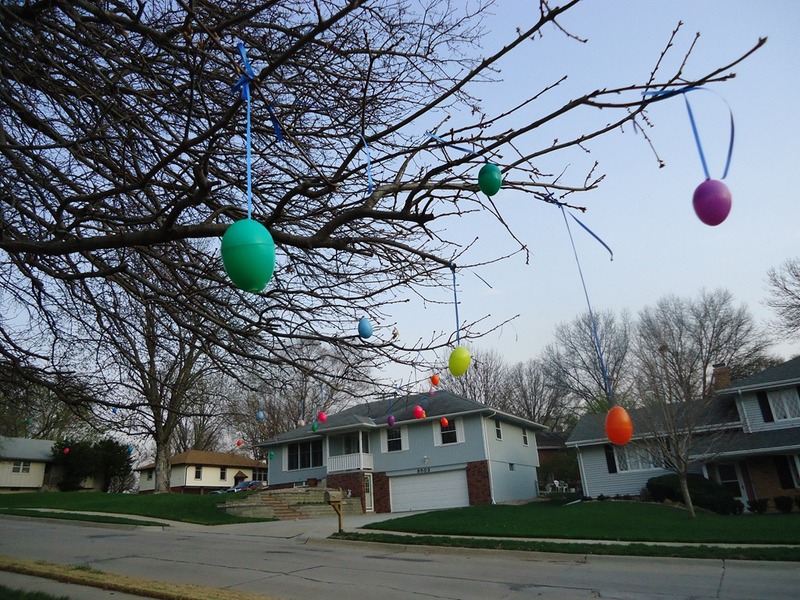 On our way home from the park, we ran across this tree that someone had hung Easter Eggs on. Seeing them all blowing in the breeze actually looked quite pretty! Isabella really liked it! One of my favorite parts of Spring is seeing all the new life. 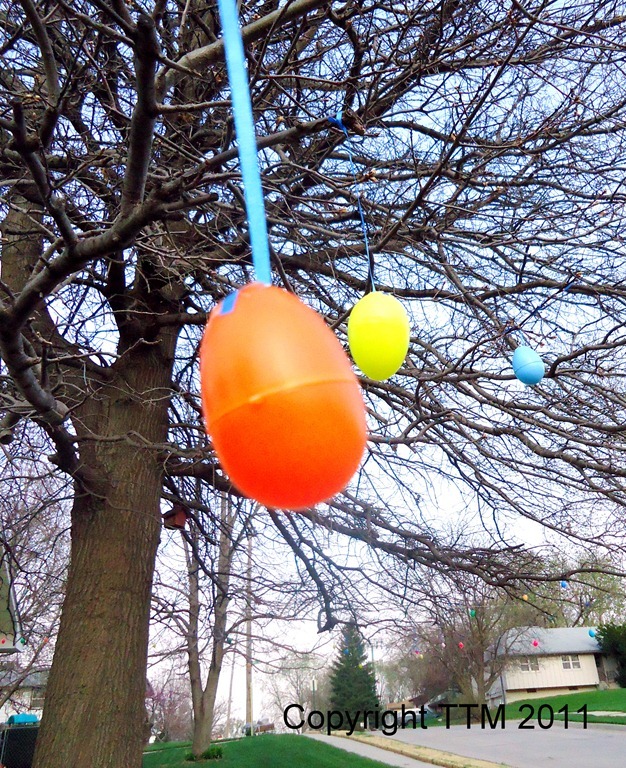 Buds on trees, green grass poking out of the ground, flowers starting to sprout. Makes me feel happy knowing that warmer months are on the way! Typical of Spring, there are nice warm days and there are cool rainy days. 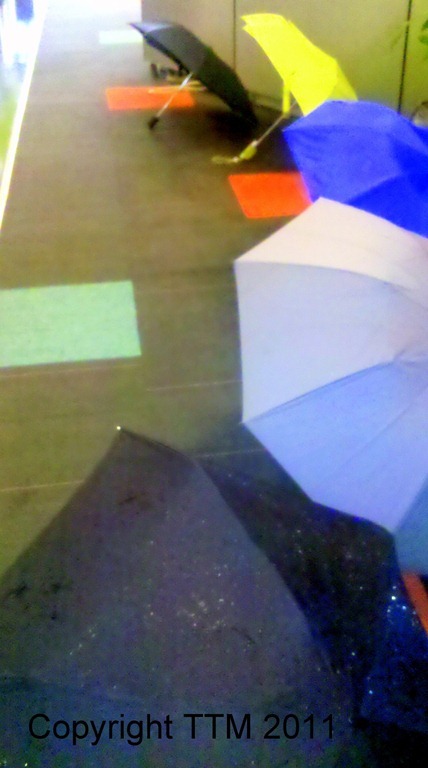 Well, on one particular day last week, it was raining all day, as evidenced by the row of umbrellas lining our cube farm at work. Can you guess which one is mine? It wouldn’t be Spring without all the cute little dresses for the girls. Isabella got to put one on Sunday for a wedding . 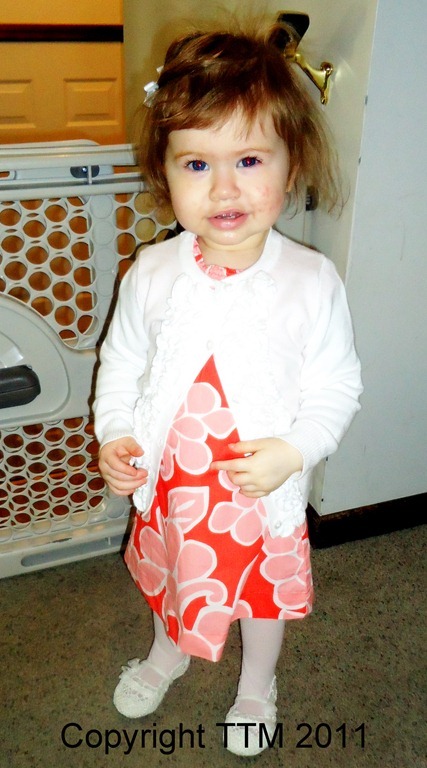 She thought her new little dress shoes were very pretty – and I thought she was! Well there you have it! Here’s hoping the next few weeks bring more warm days and less chilly ones! For more takes on this theme, go visit Beth at I Should be Folding Laundry! 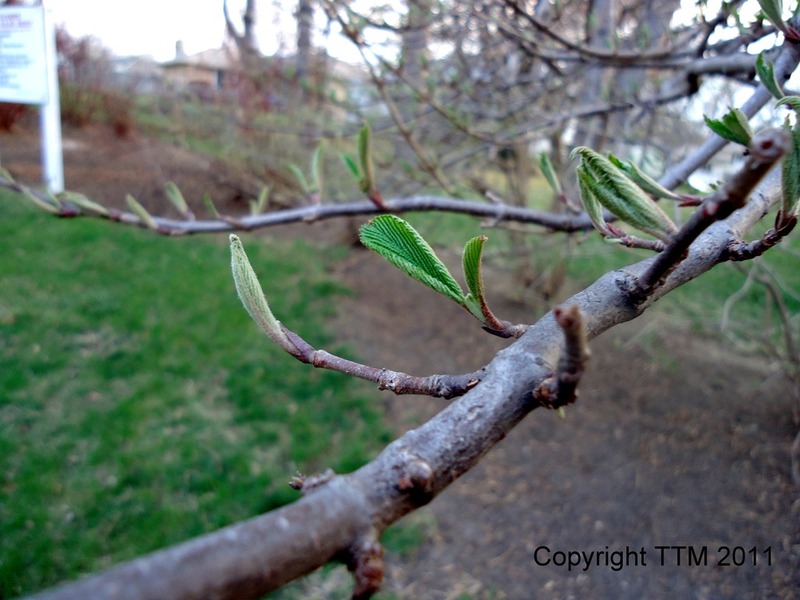 I’m with you on tree buds- a sign of things to come! The promise of warm weather! Great shots, BTW! Great spring shots! I love her new dress and she looks adorable!